Screenwriter Koji Steven Sakai’s horror thriller “#1 Serial Killer” (original title: “Chink”) will be released on DVD and Video-On-Demand on Tuesday, June 23, and to celebrate, the producers and director are host­ing two release parties. The first event will take place on Saturday, June 27, from 2 to 4 p.m. at the horror specialty retail store Dark Delicacies, located at 3512 W. Mag­nolia Blvd. in Burbank. On Sunday, June 28, the celebration will be held from 2 to 3 p.m. at specialty video store Cinefile Video, 11280 Santa Monica Blvd. in Los Angeles. At both events, director Stanley Yung (“2 Bedroom 1 Bath”), producers and cast members will be present to sign DVDs and give away posters, scripts, and other prizes. The film stars Jason Tobin (“The Fast and the Furious”), Eugenia Yuan (“Crouching Tiger Hidden Dragon 2”) and Tzi Ma (“Rush Hour”). The story follows Eddy, who is sick – sick of people ignoring him, sick of being picked on, sick of be­ing Asian. He has internalized the racism he felt his entire life until a new traumatic experience threatens to bring everything to a boil. Looking for an outlet to discharge this seeth­ing rage, feeling more and more of a kinship with his hero, the notorious serial killer Ted Bundy, Eddy decides to become the greatest serial killer in history. 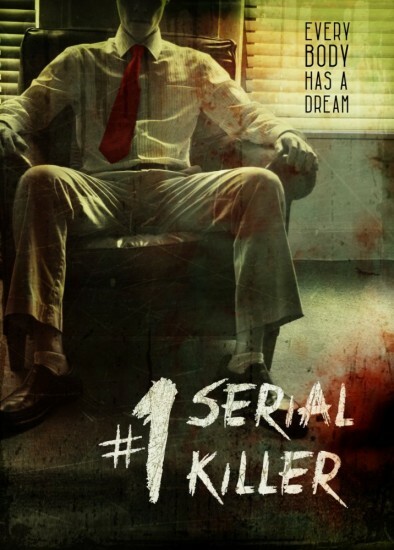 “#1 Serial Killer” is a slasher movie with a message that confronts race, sexuality and gender head on. Will Eddy kill the blonde co-worker he has a crush on? Will he get revenge against his abusive parents? What about the boss that he despises? And finally, will he kill the only woman he’s ever loved? During its film festival run, “#1 Serial Killer” won Best Thriller Feature at the Burbank International Film Festival and Best Actor at the Los Angeles Asian Pacific Film Festival. For more information, visit the film’s Facebook page.